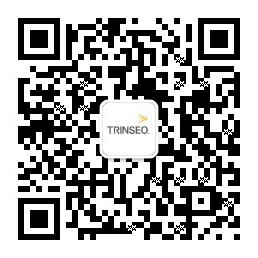 Trinseo (NYSE:TSE) has introduced a Supplier Code of Conduct to its key suppliers. The Supplier Code of Conduct (SCoC) outlines the minimum standards that Trinseo expects all its suppliers to comply with when doing business with the company. 1. The company expects its suppliers to comply with all applicable laws and regulations. 2. Trinseo encourages its suppliers to adhere to the highest principles of environmental responsibility, sustainability, ethical behavior, corporate social responsibility (CSR), fair labor practice and a safe healthy workplace. 3. The company expects all its suppliers to operate responsibly and in a manner that is consistent with Trinseo’s Code of Conduct and related Ethics and Compliance Policies. The code includes sections on: management systems, human and worker rights, environment, health and safety, business ethics, material sourcing, and compliance and reporting. The code is available at www.trinseo.com/suppliercode in English, Chinese (simplified), German and Japanese. Trinseo (NYSE: TSE) is a leading global materials company and manufacturer of plastics, latex and rubber. Trinseo’s technology is used by customers in industries such as home appliances, automotive, building & construction, carpet, consumer electronics, consumer goods, electrical & lighting, medical, packaging, paper & paperboard, rubber goods and tires. Trinseo had approximately $5.3 billion in revenue in 2013, with 19 manufacturing sites around the world, and approximately 2,100 employees. Formerly known as Styron, Trinseo completed its renaming process in the first quarter of 2015. More information can be found at www.trinseo.com.